Are earthquake dangerous in New Zealand? New Zealand is famous for its jaw-dropping mountains that still continue to rise today thanks to the deformation of the Australian and Pacific plates. With this wonderful landscape comes the occasional earthquake. While most of them are barely felt, the larger earthquakes in New Zealand make the international headlines every three years or so. However, the story on the ground here in New Zealand is often very different than what the sensationalist media tend to convey. Let’s set the facts straight about earthquakes in New Zealand. From their frequency to their impact on travellers, without forgetting the basics of what to do during an earthquake, we are covering all aspects of the most known seismic phenomenon so you are well-prepared and informed for your gap year in New Zealand. 1. Stop where you are and assess the situation. Do not panic and run around like a chicken. 2. Drop to your knees to get a better bearing and be able to move easily. 3. Roll under a table or any furniture that can protect you from falling objects. 4. Be aware that even when the ground starts shaking, you will have to assess the situation before moving out of your hiding spot and exit a building, objects can still fall from damaged structures. New Zealand is an earthquake-prone country. It is located on a major geological fault line meaning that earthquakes do happen regularly. Most of them are imperceptible to humans and have no consequences what so ever. This is just earth doing its thing – our planet is a living organism constantly in motion. Over time the fault line beneath New Zealand has literally pushed the country out of the ocean and created the majestic Southern Alps for us all to enjoy. In human history we only have a few major earthquakes to look back to. Since 1815, New Zealand was struck by over 100 earthquakes, however only 14 had recorded fatalities. An out of those 14, 11 earthquakes had under 10 fatalities. Are earthquakes a big deal? For the media, it is! Opening a news show by stating that a major country has been hit by an earthquake is a great way to catch the audience’s attention. But don’t always trust the news and their loop shots of a couple of shelves and windows breaking. For the people in New Zealand, earthquakes are not a big deal. Earthquakes are part of life here in New Zealand. Although earthquakes are frequent, only a very few can be felt. New Zealand is also leading the world in earthquake detection and prevention having invented some amazing features to protect its building. The Te Papa Museum and the Parliament in Wellington are great example of those technological prowesses. What’s more, New Zealand has a strong building code regulating every public building to make sure they are “earthquake proof”. Yes, it is true that when an earthquake hits it may take a few weeks to clear out roads and fix water supplies, but take the example of the Kaikoura Earthquake in 2016. After the city was hit by the earthquake, the army was in the zone within hours running both plane and helicopters to evacuate every tourist from the area in less than 48 hours. Within only a few days, the first road was cleared out and the area was again fully accessible after less than two months. Some signs of the earthquake are still apparent and rebuilding the most damaged structures will take a few years, but the town opened for business incredibly quickly. There’s no doubt that the few tourists that cancelled their trips are still kicking themselves to this day. 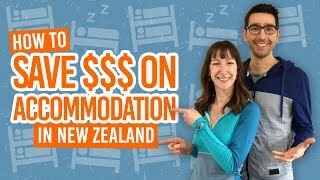 Is New Zealand safe to travel to? Of course New Zealand is a safe country to travel to. New building regulations have been introduced in 2011 after the Christchurch earthquakes and the whole country is ongoing strengthening efforts to all its public buildings. Using earthquake-proof materials such as metallic beams, every public building is made earthquake-proof for all to safely enjoy. Plus, after each perceptible quake, all buildings are inspected to ensure their safety. Multiple universities are allocating a huge amount of funding to earthquake research, making New Zealand a world-leader in earthquake detection and prevention. The most effective quake-proofing system for buildings is a New Zealand patent and is used in multiple buildings across the country. New Zealand is lucky enough to be very far from the devastating earthquakes happening in underdeveloped countries where thousands of lives are being lost. Finally, should we talk statistics? With an earthquake above Magnitude 7 happening in New Zealand only every 2.5 to 3 years and usually striking a small area of the country each time, your chances of being hit by a major earthquake during your gap year are incredibly slim. 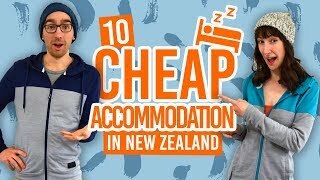 Added to the low-casualty rates and you should be reassured that earthquakes should not be a factor in choosing New Zealand for your trip.